We need to get our ducks in a row and avoid using slang terminology in our writing! In other words, we need to take the bull by the horns and avoid clichés and any sayings that can have more than one meaning. It can be difficult to locate sayings in your own paper, which is why it is important to have someone else proofread your paper before you turn it in. A fresh look at the paper will be helpful in catching common mistakes and the use of clichés. 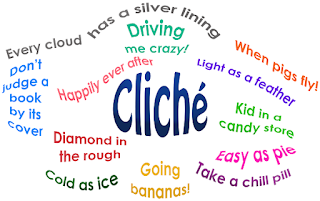 A cliché is defined as a trite or obvious remark. This definition can be misleading because the remarks are not always obvious. Sometimes there are sayings that we use with our friends and family so often that they seem to make perfect sense. However, if you were to say the same thing to a stranger or someone from a different country, it may not make any sense at all! Avoid slang terminology. Imagine writing a paper for someone from a different country. That person may not be familiar with slang terms that are used in conversational language. Example 1: Mark knew how hard it was to get clean after being addicted to drugs for 5 years. Example 2: Julie was a typical girl next door, and everyone loved being around her. Example 3: My grandfather was out there, so we didn’t stay very long, in case he was going to do something crazy. Get clean should have been exchanged with become sober so that it was clear for the reader. Instead of using girl next door to describe Julie, her personality traits should have been listed or defined. Not everyone understands what this slang term means, and people could have different definitions for it. Also, using the phrase out there to describe someone that is mentally unstable would be confusing for a reader that was unfamiliar with this terminology. Be sure to make your writing more formal to the point that it could be translated into another language and still be understood. 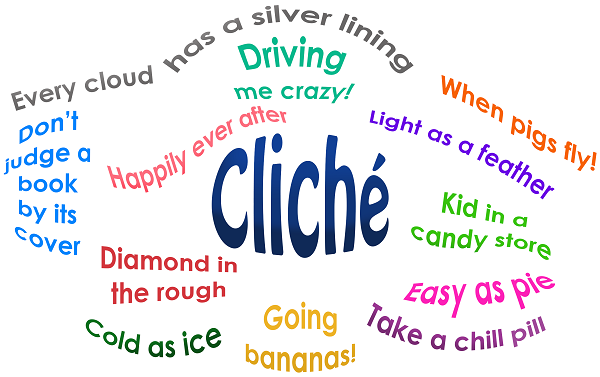 Take into consideration that clichés are commonly used because they are so well at describing situations. It can be difficult to come up with a different word or phrase to get your description across because you're so used to using the clichés. That's why it is important to be very close to your thesaurus and have it handy when you're going over your first draft to eliminate the clichés. Example 1: When it rains, it pours, which is why you have to be prepared for difficult times in life. Example 2: It's not rocket science to figure out that our country's leaders are struggling to manage the economy. Example 3: Since our camera broke, the bottom line is this: We need to hire a professional photographer because when life gives you lemons, you have to make lemonade. 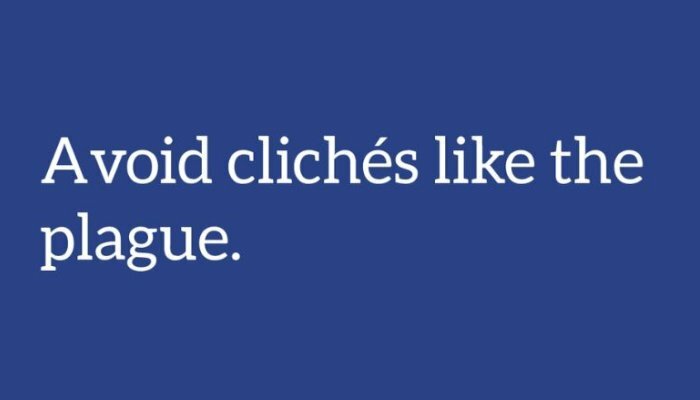 These examples make it clear that overusing clichés in writing can be tiresome for the reader, and they won't make your essay stand out from the rest. Professors will be impressed when they read a paper that doesn't use clichés, especially when the authors goes the extra mile to think outside the box and come up with new descriptions as alternatives to these obvious remarks. I can't find a "Contact us," so I'm attempting this. I put in a paper and received this: "Garbage input detected. Please hit the Back button and try again using a REAL paper" I don't know what to do, as I KNOW my paper is pretty good and definitely NOT garbage. I am a 9th grader at an AZ high school and would appreciate a response. Please respond to dcivitano1@pvlearners.net. Also, I tried it as a research paper, personal narrative AND an essay.